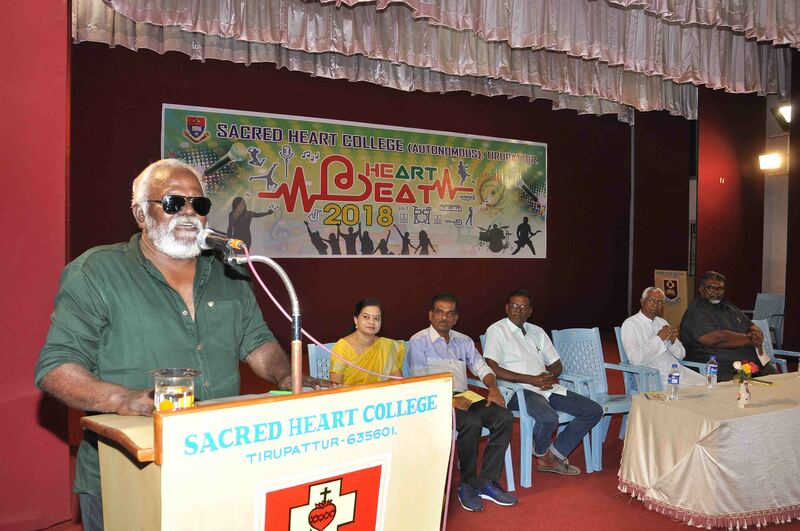 `Heart Beat` - The Cultural Fest of Sacred Heart College Shift-I was held on 1st December, 2018 at DBIS. Mr. Poo Ramu, renowed film actor was the chief guest. Mr.Anthikkaatru Balu, singer and music composer, Ms.Prema dance master and choreographer, Mr.Manoj dance master and choreographer, Rev.Dr.Raj Kumar, rector Don Bosco College, Dharmapuri were invited as the judges of the day. Rev.Dr.C.Antonyraj, the rector welcomed the gathering and felicitated the chief guest and judges of the event. Dr.K.Parthibaraja, Dept of Tamil introduced the dignitaries. There were four events on the day namely: Mime (Girls), Group Dance (Boys), Skit (Boys) and Group Dance (Girls). Various off stage events were conducted prior to the fest and prizes were distributed. 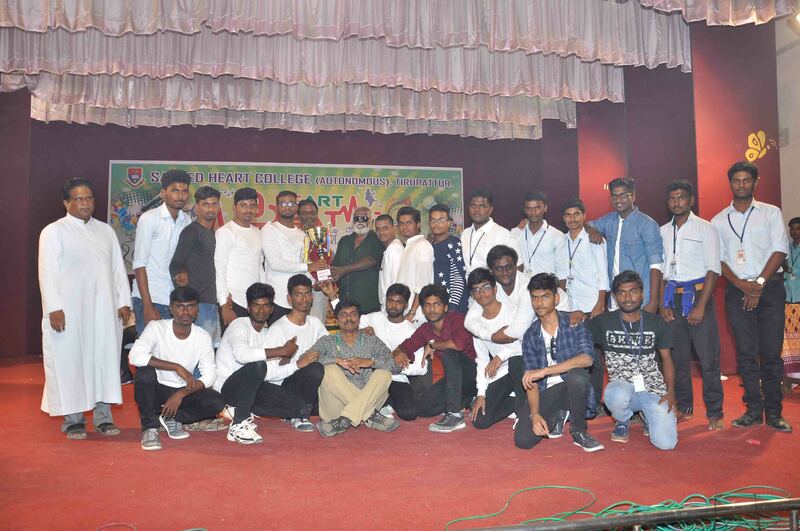 The Department of Chemistry won the overall championship. Dr.Prabhu, Dept of Tamil proposed the vote of thanks.